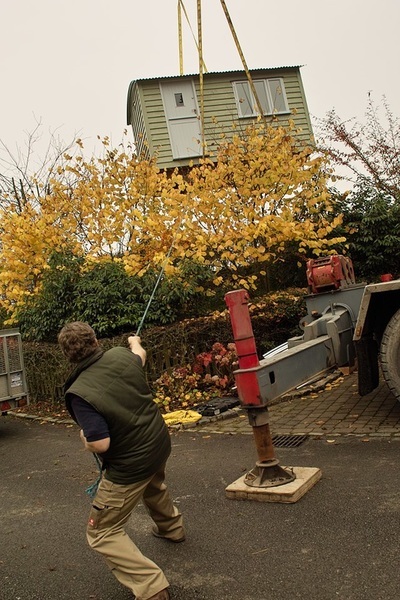 We always like to see where you have decided to place your hut to ensure the easiest method of transport and installation. We always deliver the huts ourselves to ensure the hut is sited safely and securely and to hand over the keys. 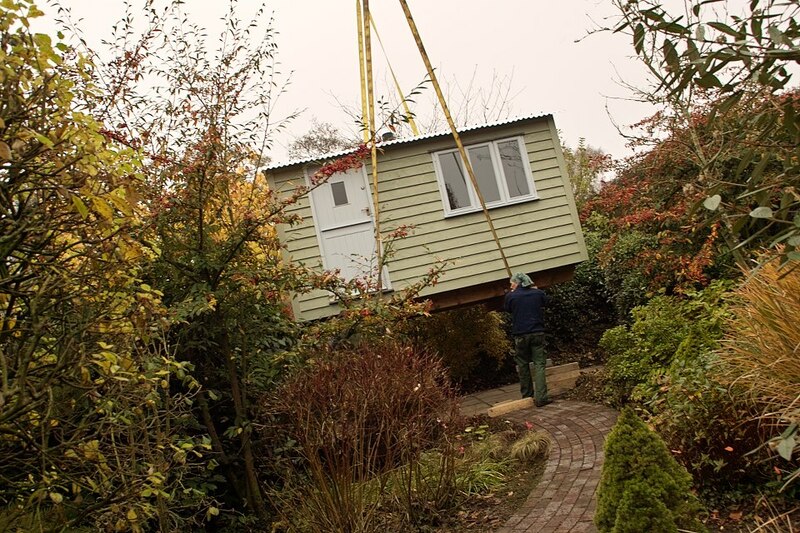 We haven't yet come across a position where a hut can't be delivered, as you can see we can normally find a solution! Once the spot for your hut has been chosen, all that is left to do is prepare the base on which the wheels will sit. We have found the best and simplest method is to use 4 railway sleepers (oak being the best but not essential); this spreads the load and over time will stop the wheels from sinking. We can provide you with a layout drawing demonstrating how to lay these out and with a little digging (nothing too strenuous!) this can be completed in a couple of hours. For huts in extremely windy or exposed spots, a ground screw can also be installed to which the hut would be fixed. 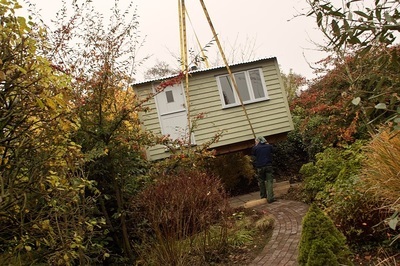 These are very cost effective and give that extra reassurance your hut will not be moving anywhere! 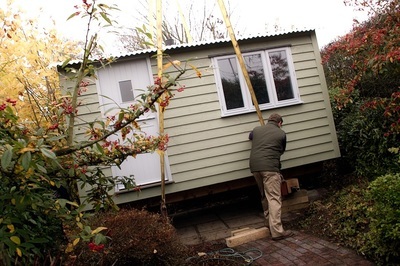 One of the most common questions we get asked is 'Does a shepherd's hut need planning permission?' Due to their mobile nature, the shepherd's huts themselves don't need planning permission. The only time planning may be required is if you change the use of the land from residential to business. Please get in touch if you would like more advice; we are more than happy to help.